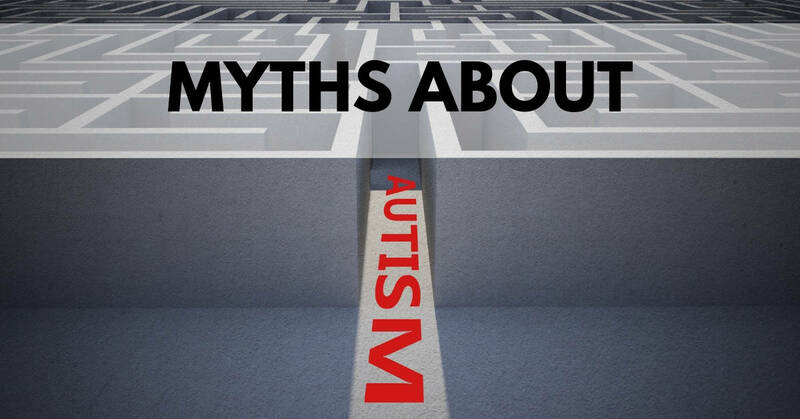 There are a lot of myths about Autism out there in the world. Many of these myths can be quite harmful and hamper people on the spectrum from being recognized and valued members of society. We’re here to dispel some of those myths. Related: What is The Autism Spectrum? Because Autism is a spectrum the idea that there is a one size fits all job simply isn’t the case. While there are a lot of people on the Autism spectrum who would be well suited for repetitive tasks there are many others who would find it mind-numbingly, painfully boring. Yes, in the last two decades, we’ve seen the prevalence of Autism go up 600%, but that doesn’t necessarily mean that more people are getting it. What it means is that more people with it are being diagnosed. In the past you would have only seen more extreme cases diagnosed but as we grow to understand the Autism spectrum we are able to diagnose more people who fall on the spectrum. In the past, those people would have just been considered weird and eccentric. The way Autism works is different in boys than it is for girls. So, while it may seem like only boys have Autism, in fact, girls can have it just as frequently. Signs of Autism in girls can often be confused for other things or hidden completely. Not everyone learns the same way. This is true for people on the Autism spectrum and off it. Some people are more visual learners, some need to get their hands dirty to learn. Those on the Autism spectrum can find it quite difficult to learn in a traditional classroom setting which gives the impression that they can’t learn. But they can, once you work out what works best for them. Currently, there is no cure for autism. Those who are diagnosed with Autism, especially girls, can learn to overcome some of the difficulties they face, making it appear as though they’ve been cured. In reality, they’ve found coping mechanisms that work for them and allow them to function in society. People on the Autism spectrum can in some cases express their emotions in ways that are unfamiliar to the majority of society. That gives people the impression that they can’t express emotions or perhaps that they don’t feel them at all because they don’t recognize the different way that the emotions are expressed. One study after another has proved that vaccines do not cause Autism. This misconception comes from the fact that signs of Autism appear around the same time in a child’s life as when they start getting vaccinated. A faked, discredited paper from one doctor that caught celebrity attention allowed this myth to perpetuate and enter the mainstream. Because of this, deadly illnesses like Measles, which were all but dead in the United States have come back with devastating results. A Crazy Family offers ideas and information regarding medical research, treatment options, therapies and nutrition to parents of children with autism. Jayandel does not endorse any particular treatment and makes no warranties about the effectiveness of any ideas presented. The information comes from a variety of sources and is not independently verified by A Crazy Famiy. ALWAYS consult a health care professional about any therapies, supplements, or actions you may choose to implement for your child. For our full Disclaimer Policy, click HERE.